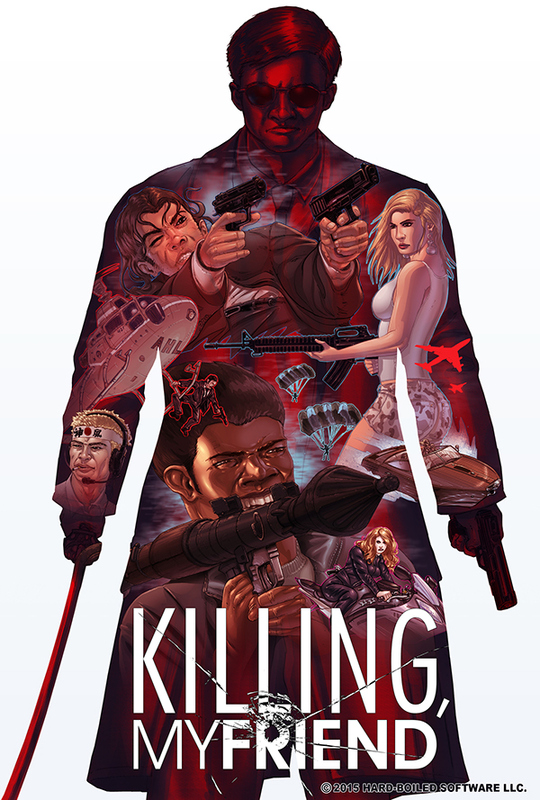 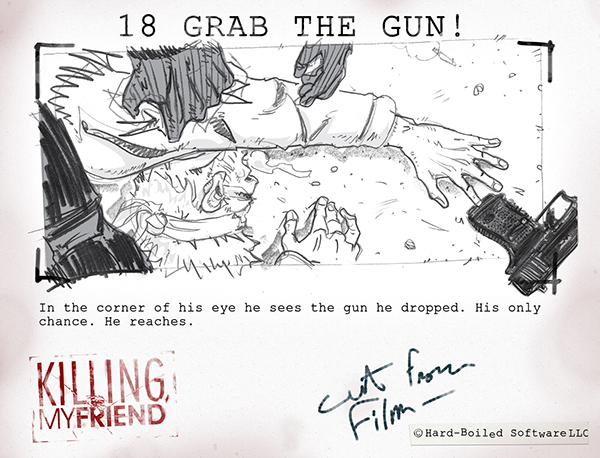 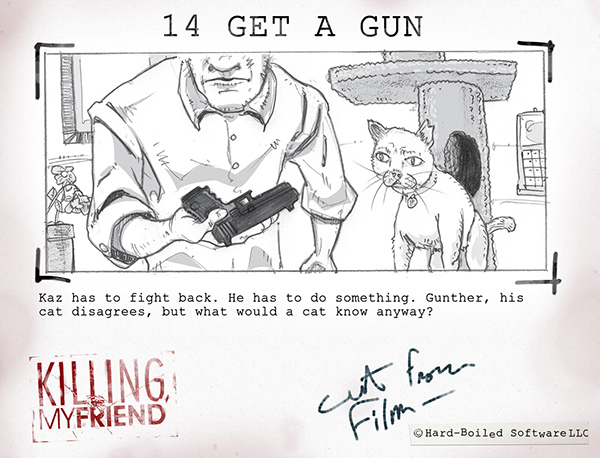 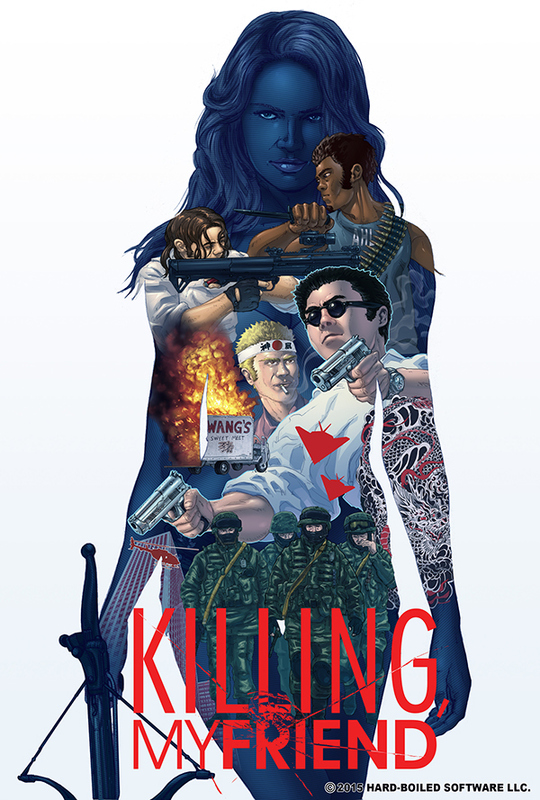 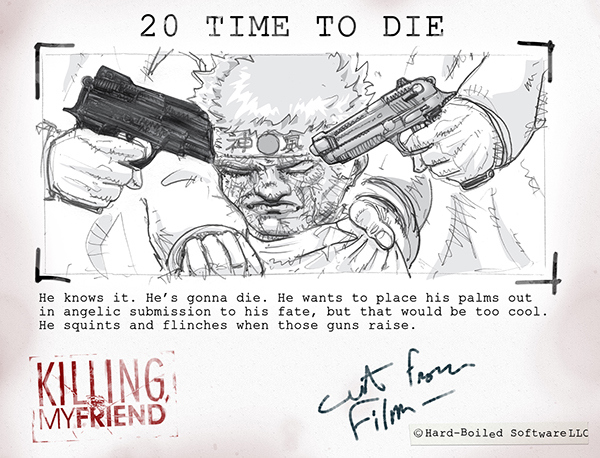 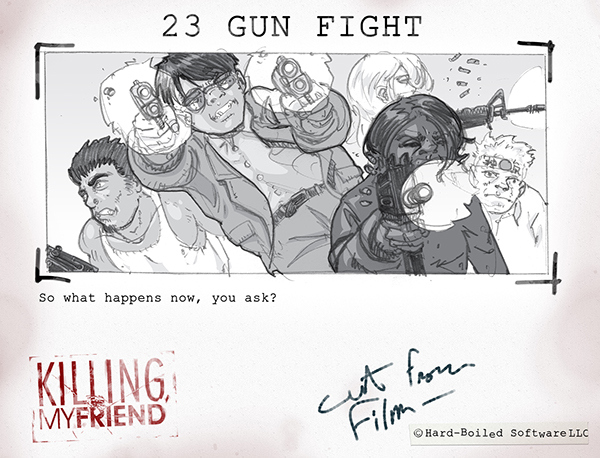 This is a collection of digital art for the indie game Killing, My Friend. 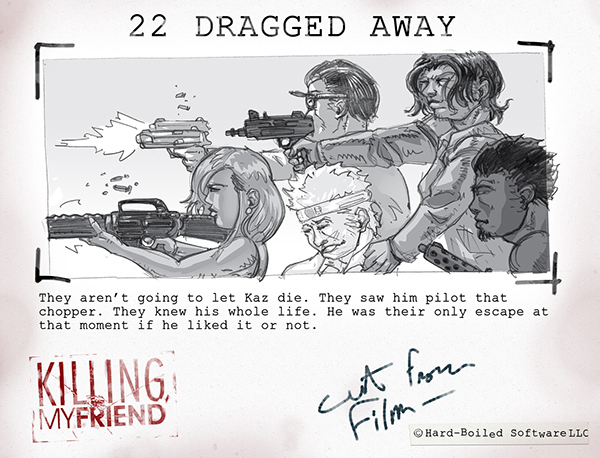 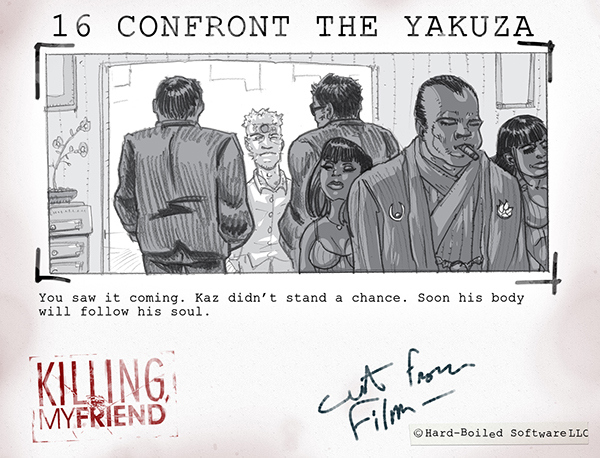 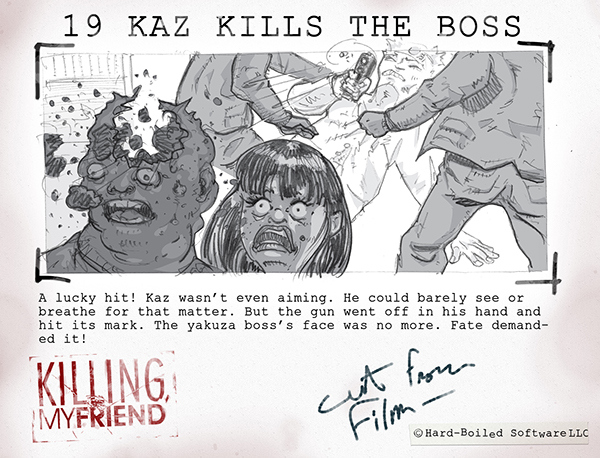 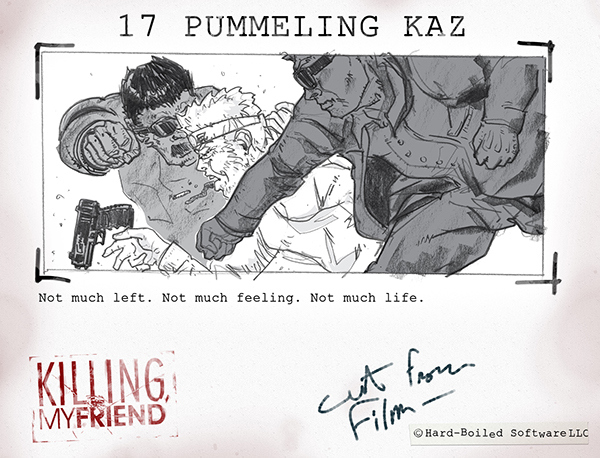 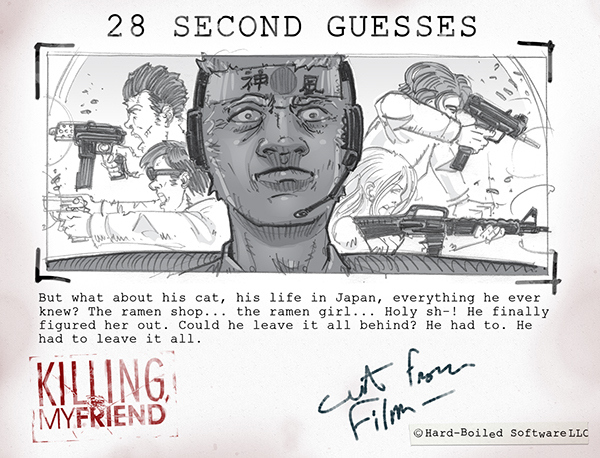 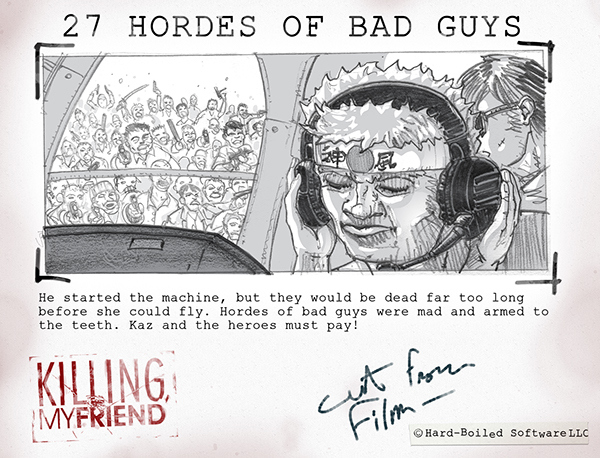 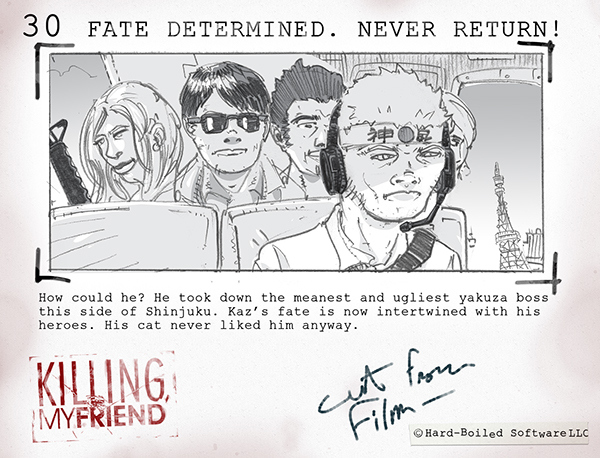 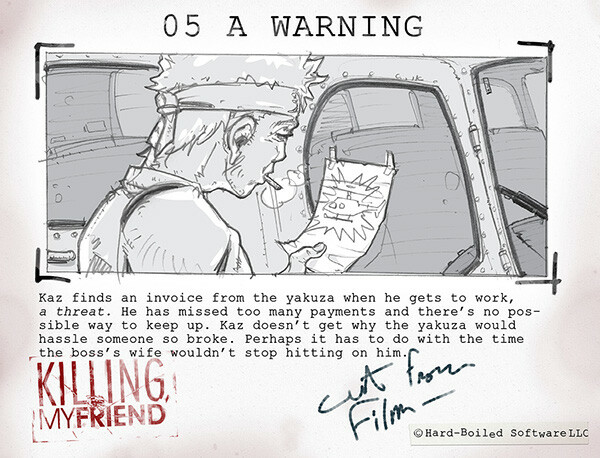 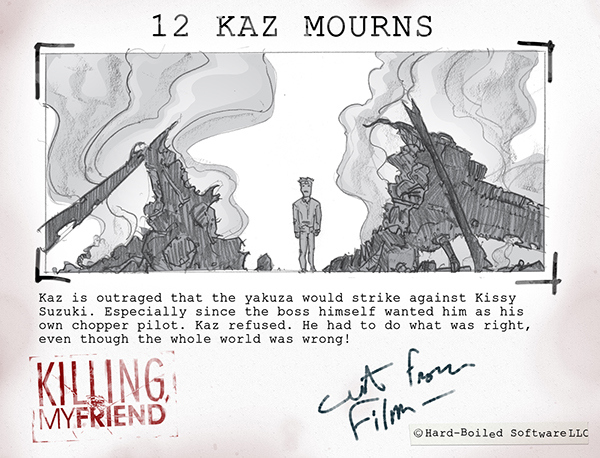 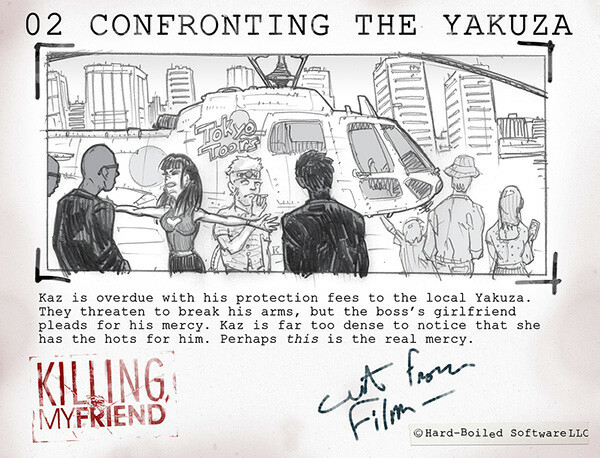 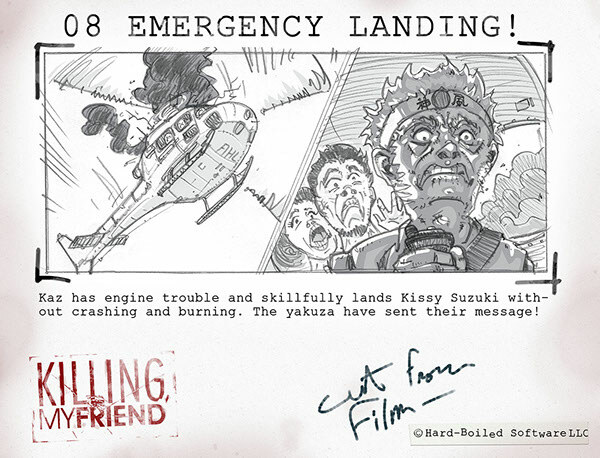 There are two posters and a collection of storyboards that tell the backstory of Kaz, the driver/pilot of the heroes of the game. 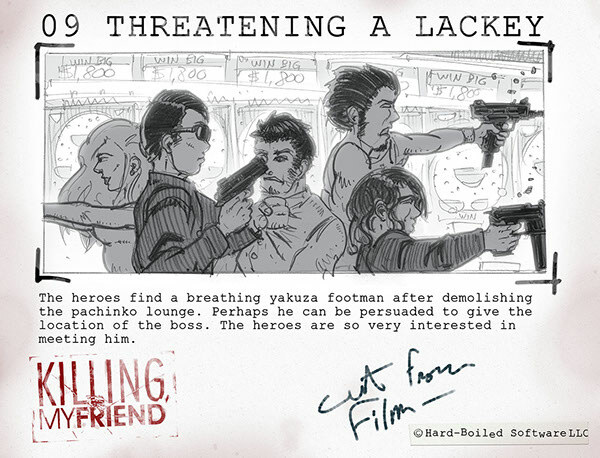 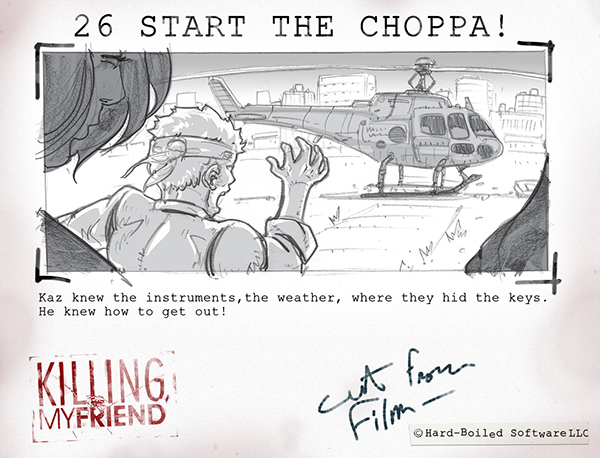 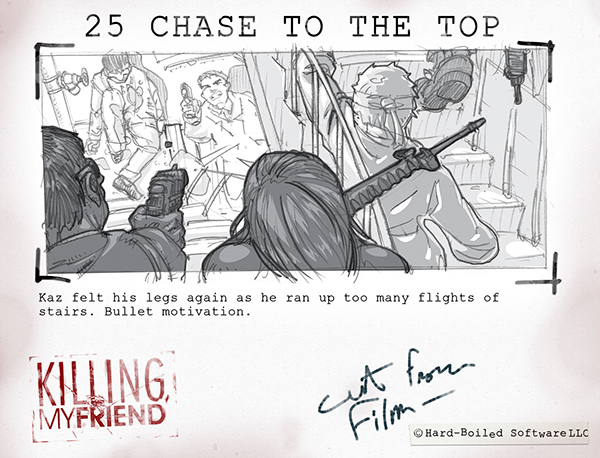 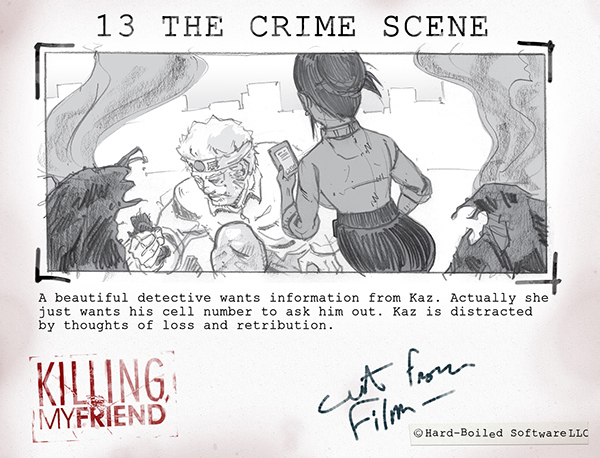 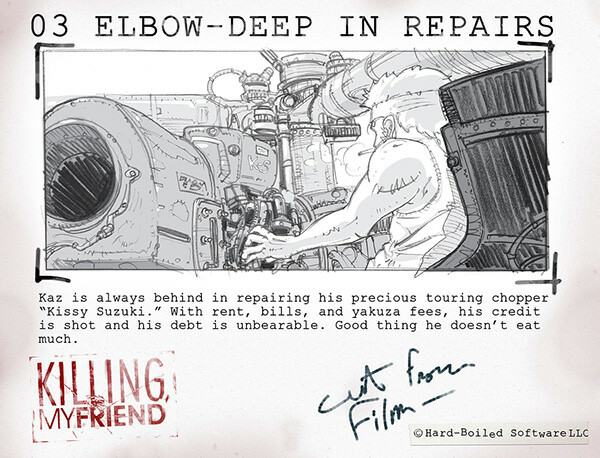 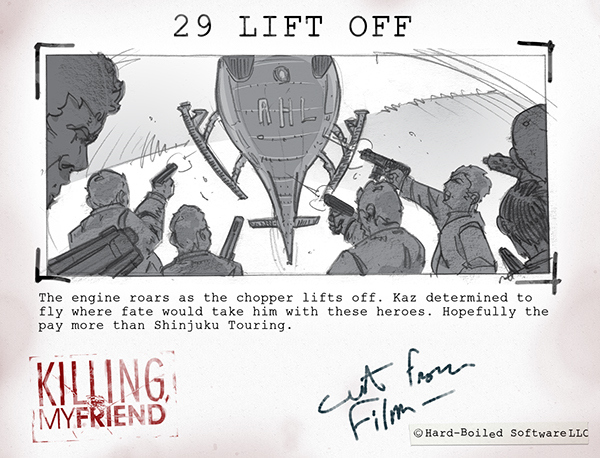 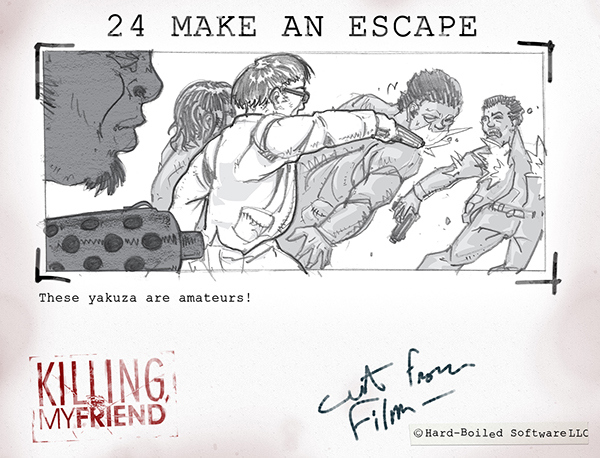 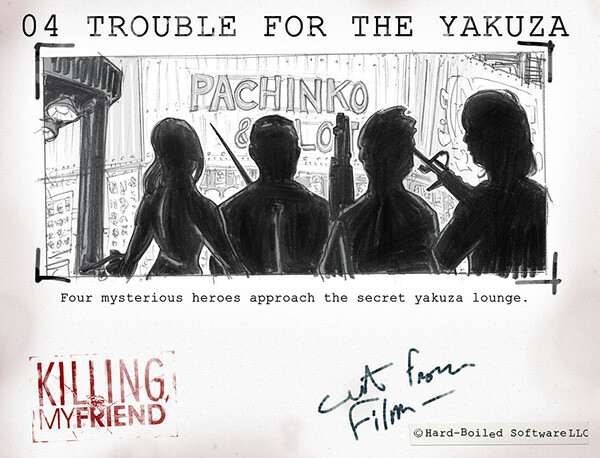 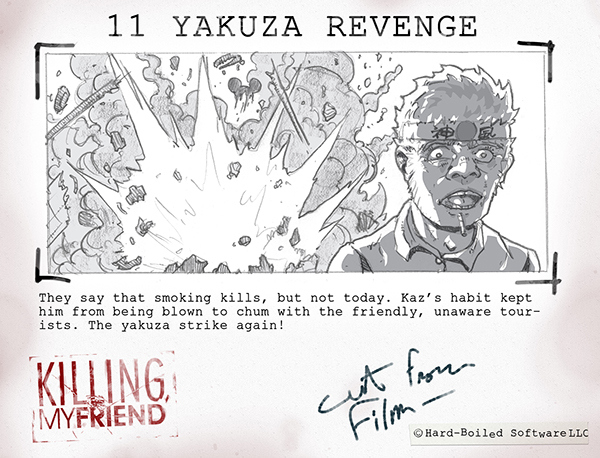 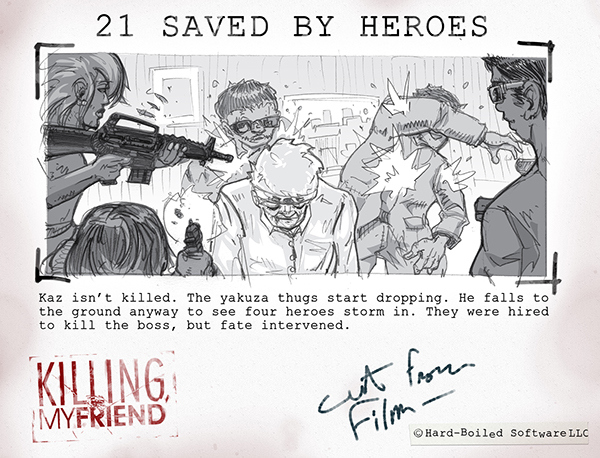 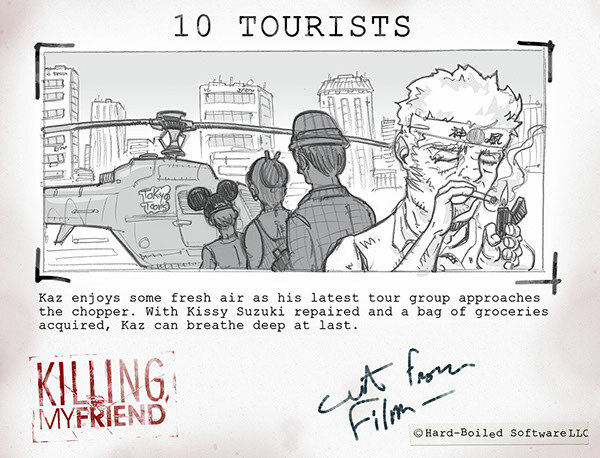 As the game progresses in development, further storyboards will act as cut scenes and an additional two posters will fill out the collection of four main heroes.